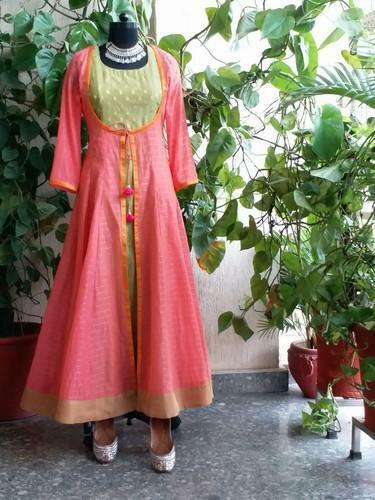 Pure chanderi cotton kali maxi with sheer chanderi layered kalidaar cape. 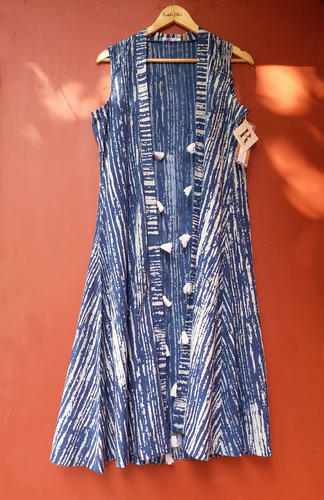 block-print cotton a-line cape style with hand embroidered motif at the back and tassel hangings. cotton block-print a-line long cape style with hand embroidered motif and tassel hangings. 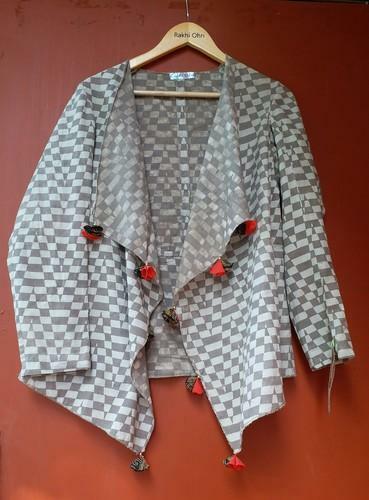 Grey block print, asymmetric cotton cape. 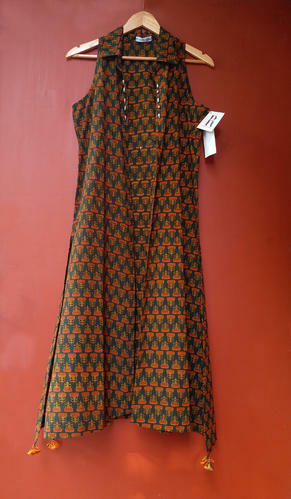 a-line cotton printed long cape with tassel edging. 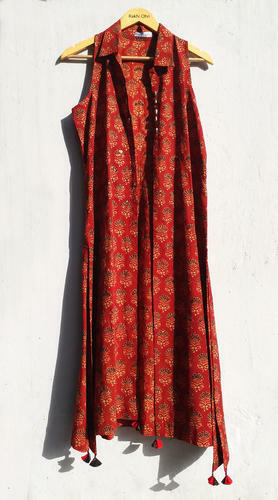 cotton block-print kalidar long cape with hand embroidered motifs along with long kalidar maxi dress.